We run a comprehensive work experience placement week at Waddesdon Manor that offers young people an understanding of working life at an award-winning visitor attraction. Waddesdon Manor offers students a varied and interesting week working with staff in a variety of departments. This is your chance to get an inside view of how a popular National Trust property works. 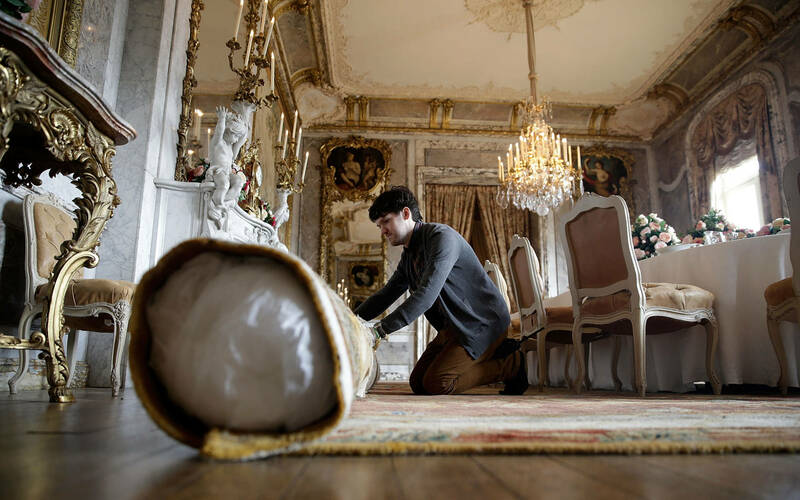 Find out how our visitors are welcomed and looked after during their day out, how school children have fun whilst learning, how Waddesdon’s collection of beautiful objects is cared for, or how a busy restaurant really works. If you are enthusiastic, resourceful and keen to develop workplace skills then contact us today. Applications are welcome from students aged 15 to 18 at the time of the work experience week. If you are interested in applying please send in your CV with a covering letter to Helen Franklin, Volunteer Manager. Please note that this is the only general work experience we can offer throughout the year, unfortunately we cannot place individuals at other times. Placements are on a first-come, first-serve basis.